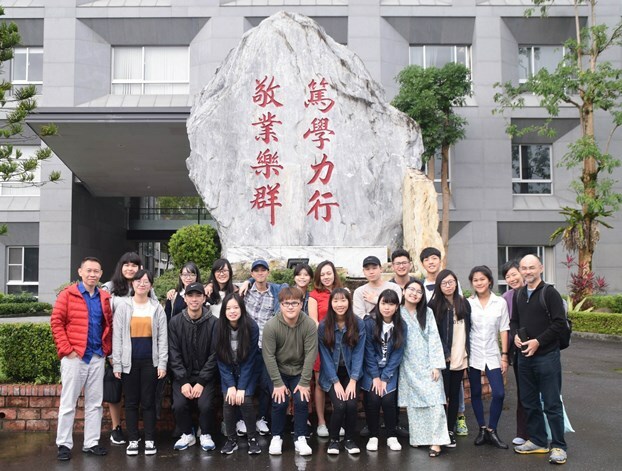 The School of Arts & Social Sciences’ (SASS) first study trip to Taiwan, 10-16 December 2017 was aimed at fostering long-term and reciprocal intercultural exchanges between 14 Taiwanese and six Malaysian students from the National ILan University (NIU), Yilan, Taiwan and Monash University Malaysia. This study trip is doubly unique as previous SASS study trips were limited to the borders of Southeast Asia and they were not reciprocal in nature (the write-up on NIU students’ visit to MUM from 28 January to 3 February 2018 is forthcoming). The itinerary, sponsored by the Taiwan government’s Southbound Policy grant was a mix of travelling to cultural sites, exploring Taiwan and attending gender-focused lectures held at NIU.